The Democratic field to take on Illinois Republican Gov. 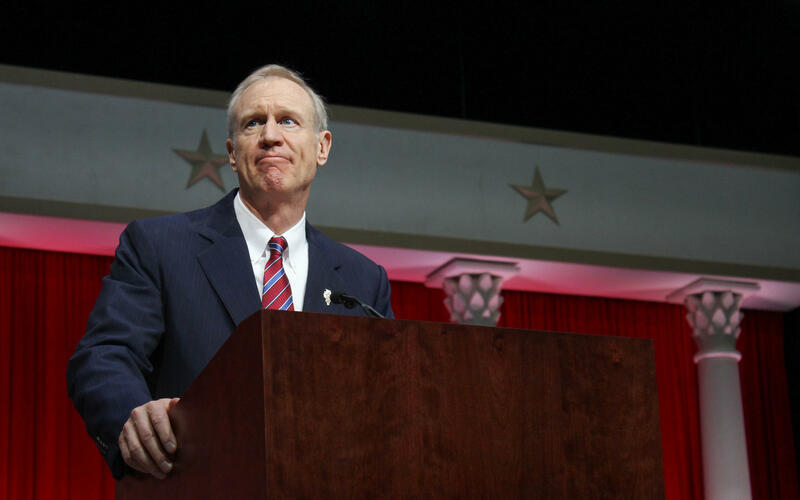 Bruce Rauner is growing. Biss, a former math professor from Evanston, said in his announcement, which was streamed on Facebook, that people in Illinois "are hurting because of the failed policies of the last two years." He led an attack on Rauner and other Republicans during the 2016 election, creating a super PAC that ran ads linking the governor and the GOP to Donald Trump. The Illinois Republican Party says Biss has supported Democratic House Speaker Michael Madigan and would be "the North Shore branch of the Madigan machine." The other Democrats who've announced they're running for governor include Madison County regional superintendent of schools Bob Daiber, businessman Chris Kennedy and Chicago Alderman Ameya Pawar. Billionaire businessman J.B. Pritzker says he's exploring a bid.